You may be a blogger like me who wants to rank high in SERP and get decent traffic. At the same time you do not want to spend money to promote your website. Then which tool can come to your help? It is the free social bookmarking sites list that will support you. Today I will discuss the free social bookmarking sites list that I created for you. In this list, I will cover following points related to social sites. What are the benefits of free social bookmarking sites list? Winding up on free social bookmarking sites list. Most of us use social media to share our thoughts and information on Facebook, Twitter, etc. You frequently visit these sites. But, when you have a list of many such sites, it is not easy to remember every site’s URL. Then what you do – you bookmark these sites in a folder. In simple terms, all social media sites which are worth bookmarking can be termed as social bookmarking sites. You share your web contents on these sites to spread your brand over the web. If people like the contents, they reshare them and put comments. It helps to improve your brand image. When somebody reshares your blog post, you get a backlink (normally a nofollow one). Such links are important part of your overall link profile. Search engines look for signals like popularity of a post by the likes and reshares of a post. If your posts are interesting, many people will click the post links and reach your website. In all, your website will gain some referral web traffic. Let us discuss the top 25 social bookmarking sites first. It is a big platform. Twitter may not be the first choice to share your content, but it has a large audience. You will find bloggers and digital marketers sharing their contents here. After creating a blog post you can share it on Twitter. You may repeat the tweet process with a gap of couple of days. If you work smartly, you can build a large following which can boost your site traffic and sale. This social platform attracts more than 4 billion visitors per month. It is probably the first site where all bloggers and marketers share their content. On Facebook you can create Fan-page and promote your business. Moreover, you can create or join Facebook Groups to share your newly created posts. I have joined more than 100 Facebook groups where I regularly share my content. As a mobile phone user you already know that Instagram is very popular for sharing short videos and photo from mobile phones. You would be surprised that more than 70% businesses in the US are using Instagram. All it means you can also promote your blog content and businesses on this platform to reach a large audience. It is a micro blogging website where you can publish short posts of text, video, images, etc. 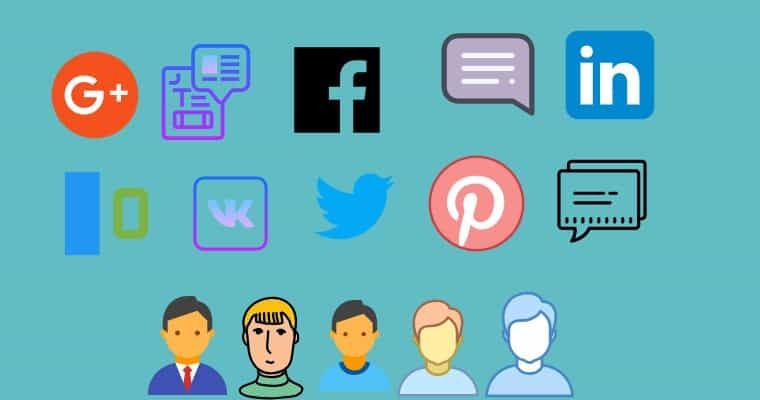 It has all the tools of a social site to communicate with other users. Tumblr is really huge and has millions of blog posts over it. You must use it blog promotion. Google’s social media site is Google Plus. Here you will find communities where you can share your blog posts. Like Facebook, you can reshare, like or comment anybody’s post. You should join many communities related to your site’s niche in order to spread your content on the web effectively. Remember you can share any post to public without joining any community. It is a high traffic social site for news and discussion. You can submit your post link, text, video, images etc. Before submitting post links you need to start commenting on other posts. You should earn some karmas before you may be allowed to submit post links. Once you become eligible for links or posts, you can drive lot of traffic from Reddit. It also gives you dofollow backlinks. We Heart It is a site based on images. Here you can share what you love. You will find inspiring images here. You can access this site through any web browser. Moreover, this website can be accessed through an app by an iPhone or Android phone. This social site is built mainly for business and employment opportunities. Many companies post job vacancies on this site. At the same time you can find many bloggers and other business owners posting their contents. Here, you can join many groups, follow people and hash tags. LinkedIn is a really effective place to share your blogs and get some traffic. It is an image based social media site which is dominated by women. Pinterest is a huge platform to share your content in the form of images, videos, GIF, etc. Here, images are called Pins. You can group these pins into boards. When somebody, pin your Pins on his board you get a backlink. You can access this site through a web browser or its app by smart phones. Digg is a high DA social network site that aggregates the latest news in the World. People use this platform to promote their stories. Most voted stories are pushed on to the front page of the site. This practice drives insane traffic to the parent site of the story. It is a popular social media platform for blog writers. If you don’t have your site, you can publish your post here to the large audience of Medium. Most bloggers use this site for blog promotion. This site gives you an option to import any blog post and publish here. You must try this platform. This social network site allows you to upload content files (PowerPoint, PDF, and Word document) in the form of slides. Visitors can rate, share or comment these slides. Slideshare is owned by LinkedIn. I create slides of my blog posts and share at this platform to attract traffic to my blog. Disqus is a social site that offers blog commenting service for online websites across the World. It offers free as well as paid service. Moreover, it helps more engagements and larger audience. It is more popular than Facebook and Twitter in the US. Bloggers and business owners use Stumbleupon to get higher referral traffic. Now, Stumbleupon has become Mix. This website was earlier known as Read It Later. Pocket is a web service that allows users to store any article or content in a remote server. These contents are synced to all the user devices. Moreover, users can access the content even offline. Mozilla owned this site and service. You may know that Mozilla developed the famous Firefox web browser. This website publishes news on science and technology. The Slashdot users then evaluate these stories and put their comments online. If you are a techie by heart you must consider using this site. You can research and publish the best curated content on Scoop.it. This social site is great for individuals and businesses for content sharing. It has free membership as well paid one. Diigo is a high DA social bookmarking site. It has an online tool that allows the user to highlight any part of a webpage and put notes on it. The user can even tag it and store for reading later. To use it on a PC, you can install the Chrome extension. Diigo tool works with iPhone and Android also. It is famous social bookmarking site for questions and answers. Quora allows its users to post questions on any topic. If you have knowledge on certain topics, you can post your answers to the related questions. All bloggers and businesses use this site for brand creation and promotion. It helps you drive significant referral traffic. Feedly is a news aggregator application that works well on PCs, iPhones and Android phones. It is an RSS feed reader. So, you can bookmark a number of your favorite sites and read their latest posts at one place. So you need not visit each site to find the new contents. This social bookmarking site is for designers to showcase their artworks to the World. Dribble is meant for self promotion and networking of web design, graphic design and photography. It is a good place where you can get some backlinks. Delicious is a high ranking social bookmarking site where users can store and share links to various online resources. You come across many web contents daily but could not read them at one go. So, to organize these contents you can bookmark and read later. Pearltrees is a high ranking social site for organizing photos, web pages, notes and files. You can retrieve and share them at your convenience. In addition you can access your pearltrees from computer, tablet or mobile. Flipboard is a news aggregator social bookmarking site. It gathers content from news feeds, social media and other sites. The content is presented in a magazine form. It has an application by the name of Flipboard. You can share your blog posts here. Access this site through a mobile phone for easily sharing your content. This social bookmarking site is also working as a social search engine. But the main difference is that it does not rely on machines, it uses real people to search the best sites for you. Folkd boasts it delivers better results than normal search engines. Here, you can submit your links and get traffic and backlinks. You should read the instructions at each site carefully and follow them. Use your real name and email address while creating your account. Participate in the social activities of the sites. These include commenting and sharing other users’ posts. Follow other users of your interest and they will follow you. This way, create a large following that will bring traffic to your site. Don’t abandon the sites after creating accounts. Keep visiting the sites regularly. You should not create accounts on all the sites in a day. Create 2-3 accounts a day. Don’t spam these sites with the content promotion. Have a gap of a few days between two promotional contents.. Working on these sites will require a considerable amount of your time. But, the benefits justify this effort. Here, you are not spending any money to boost your SEO and traffic. So just do it if you want to rank high. Thanks for sharing the quality list of social bookmarking sites. It will really help the bloggers and website owners. 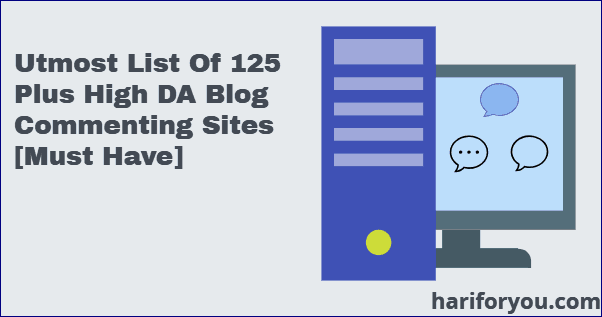 Thanks for sharing this interesting bookmarking sites with high quality domain authority used for boosting SEO for my website.